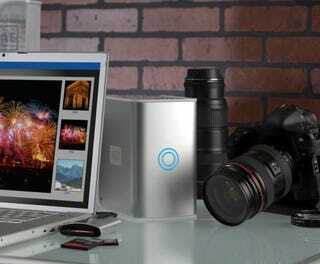 Western Digital is kicking its My Book line of external hard drives to 1.5TB this morning. The drives can be used for anything from back up to additional storage and have various methods of connecting to your PC/Mac ranging from eSATA to USB 2.0 (depending on the model). WD also announced a new 750GB option. Pricing will range from $279 to $699 depending on the model and capacity. If 1.5TB is too small, you still have a pretty good choice of 2TB options out there.